The Green Flag was raised above Brierley Forest Park for the 15th consecutive year. Brierley Forest Park is one of six parks in Ashfield joining 125 other green spaces across the East Midlands to receive the award this year in recognition of their high standards. The flag was raised and new woodland play area officially opened by Cllr Jason Zadrozny, Leader of Ashfield District Council, and Cllr Tom Hollis, Deputy Leader of Ashfield District Council. They were joined by representatives of the Brierley Forest Park Trust, The Brierley Pond Fishing Club and The Brierley Café, as well as pupils and teachers from All Saints Infants School and Selston Infants School. The Green Flag Certificate for the park, which will be displayed in the visitor centre, was presented jointly to Michael Straw, Chairman of the Brierley Forest Park Trust and Janet Poundall, manager of the new Brierley Café. 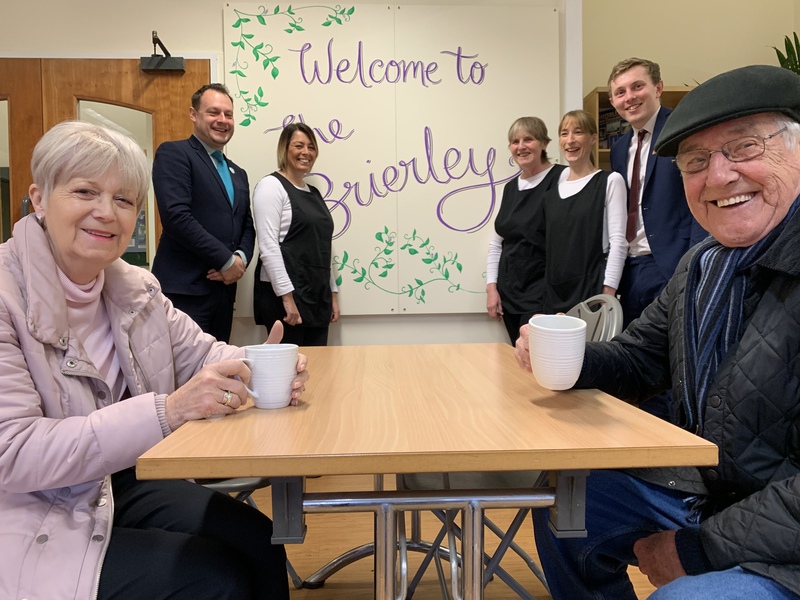 The Brierley Café was launched in December and is open from 9am -4pm everyday, including Sundays. They serve hot drinks along with a range of food, and you can even bring your four legged friend along too as they are dog friendly. The Place Team from Ashfield District Council have worked in partnership with the Brierley Forest Park Trust to deliver the new play area in the woodland situated next to the visitor centre. The Trust contributed £24,000 towards the new play area which they have generated by successfully operating the café within the visitor centre on a voluntary basis for many years. The former café volunteers were presented with certificates from Cllr Jason Zadrozny, Leader of Ashfield District Council. The new park leaflet was also launched at the celebration event along with walking route maps that have been developed by Geoff Housley, a local volunteer walk leader and trustee of the Brierley Forest Park, in partnership with officers at Ashfield District Council. The five walks are all of different levels with varying distances, so there is something suitable for everyone. The shortest and easiest of the walks is the 1 mile long “Mother and Toddler Walk” that is suitable for all abilities including wheelchair users.